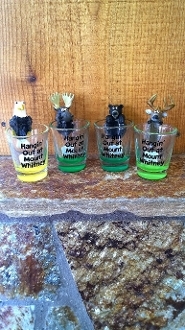 Hangin' out at Mount Whitney Shot Glasses. Please specify which style you would like in the special instructions box at checkout. Deer, Eagle, or Moose.